Amusement equipment is becoming more and more popular, and many people choose to invest the business of amusement equipment. But they always have different earning. What is the reason? Today we talk about the influence of surrounding environment on amusement equipment. 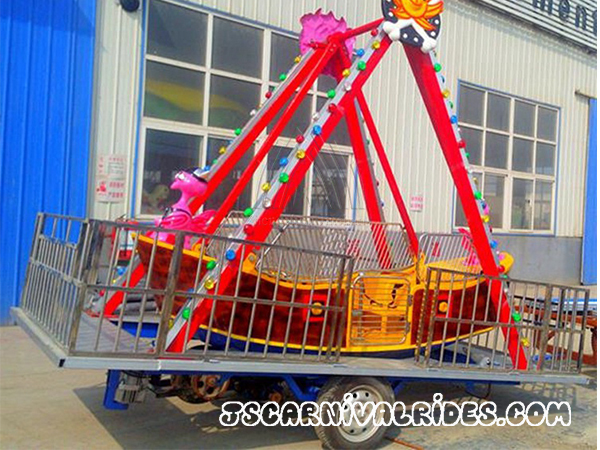 For example, if hardware facility is old fashioned, the road is uneven, the lamps can not light at night and the bench which provide the rest for people always is unmanned maintenance.Even though your rides are new and attractive, nobody want to play the amusement equipment in such environment. So the good equipment is equipped with good hardware. It is necessary that creating a clean and tidy environment. Generally it means popular.If all the equipment always don’t have customer to play, it is easy to become cold and cheerless, so long as someone play them which can attract more people, slowly the popularity will get more and more prosperous. In addition, it also can attract people by making some special offers. After all, the more people, the more business volume. So the influences of operating environment is very important for the business of the amusement equipment, we hope that the operators can pay attention to this problem.